One of the things I hate the most about it is the glorification of the ugly. 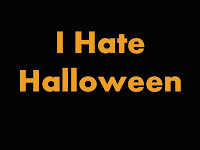 I hate the way that people use the holiday to celebrate death, evil, yucky-ness, darkness, and the macabre. Those are things to oppose, not celebrate. Autumn is my favorite season of the year. I love living in Pennsylvania with the beautiful Fall colors. God wields an amazing paintbrush, and it shows the best this time year. And I can't understand why people would want to decorate their beautiful lawns with skeletons, gravestones, and things much more gruesome and worse. I also love "dress-up" and costumes. I think little pink princesses and football players are really cute. If it was called "Dress Up Parade Day," I think it would be fun (especially if so many of the costumes weren't also ugly, scary, and other kinds of evil). I don't "get" the desire to scare, to cause mischief, to force people to give you a treat or suffer a "trick." Perhaps there are godly or lovingly playful versions of these things, but they seem sub-Christian to me. I know that demons are active around this holiday, at least with some believers. Satan loves to oppress and depress. One of my loved ones was suicidal on October 31st several years ago (thankfully unsuccessfully), and they feel oppressed again at this time every year. I hate Halloween, but I love "Reformation Day." I think it's wonderful that it was October 31, 1517 when Martin Luther kicked off the Gospel-Recovering and Gospel-Recapturing Reformation with his 95 Theses. The darkness cannot win. I just wanted to say, I agree with you wholeheartedly. 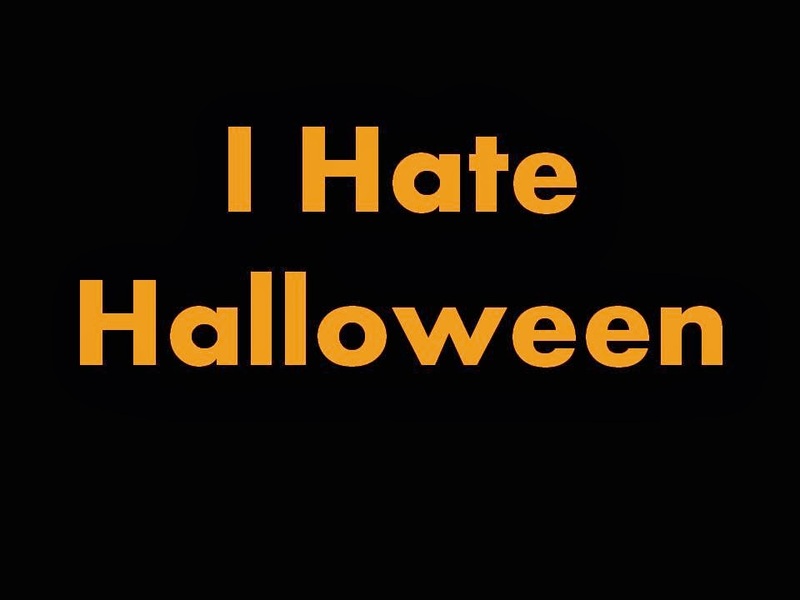 Halloween is such an evil holiday. When I was a child, I didn't realize it other then the scare with razor blades in apples. About 15 years ago, God convicted my heart about the holiday when I looked up the origins. At the time, I ran a very successful Christian daycare/preschool and made the obedient decision to no longer celebrate. It was a decision that the daycare parents thankfully supported due to their respect for me. God is good and sheds His light through all the darkness in this world. [Matt's Messages] "From Here On"
[Matt's Messages] "Go and Look for the Donkeys"
Joe Valenti on "Resisting Gossip"